This time of year is to raise awareness to Breast Cancer. We teamed up with the Manhasset Women’s Coalition Against Breast Cancer to race for a great cause. With all the land activities and battles on the water, the regatta was a big success..
We are a community driven program. 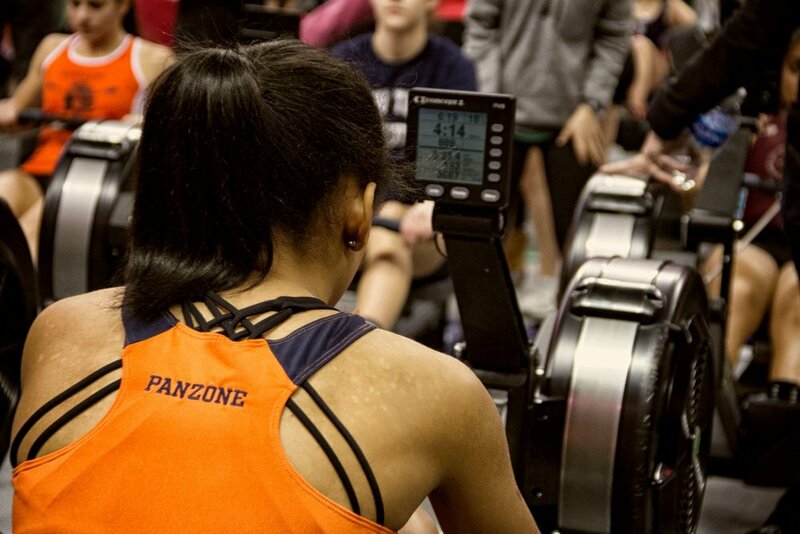 Our goal is to create an environment which allows growth for all of our athletes, through work ethic and camaraderie through the sport of rowing. We are here to create opportunities for all of our athletes. Our team consistently ranks as one of the top scholastic teams in New York State, winning titles on the State level as well as National. Our athletes move on to continue their careers on the collegiate level, taking part with top programs in the country. This is an introduction to the sport for up and coming 8th Graders. We focus on teaching the fundamentals and principles to our participants. This program is here to prepare our athletes for high school training . Much preparation is needed going into the Fall and Spring. In order to have a successful season, we offer training programs to help fill the gaps. This is also an opportunity to start the racing season right and capitalize on your training. Be a part of our program. No matter what skill set or goals you have, we are here to make the most out of your potential. Sign up and be a part of our tradition!